I think it was pretty obvious by my Smile! post that I was in a bit of a funk last week. I tried super hard to pull myself out of it – remembering all the things I have to be thankful for, working hard at the things I am good at, taking lots of naps and making lots of plans for what I would do to get out of this mood. And then life handed me lemons. Seriously. A whole bucket of lemons. Let me explain. 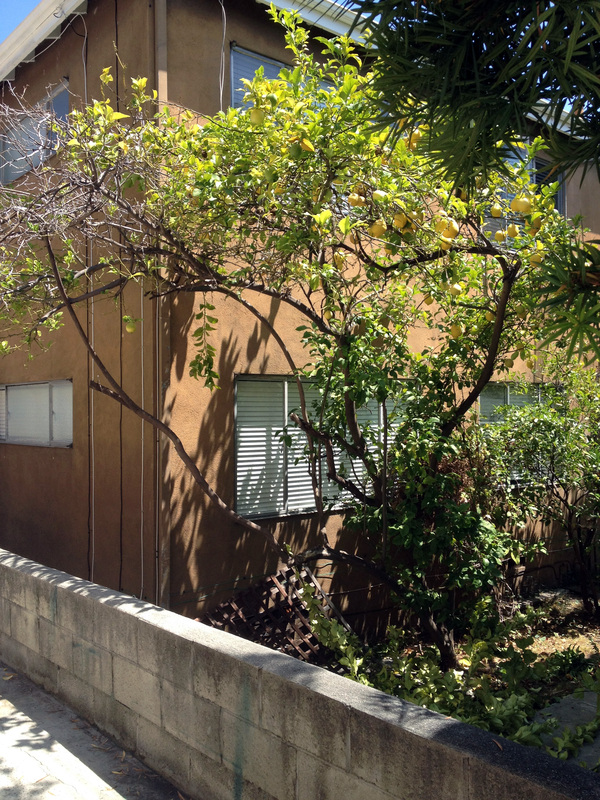 The building next door has a lemon tree that drapes over onto our patio. 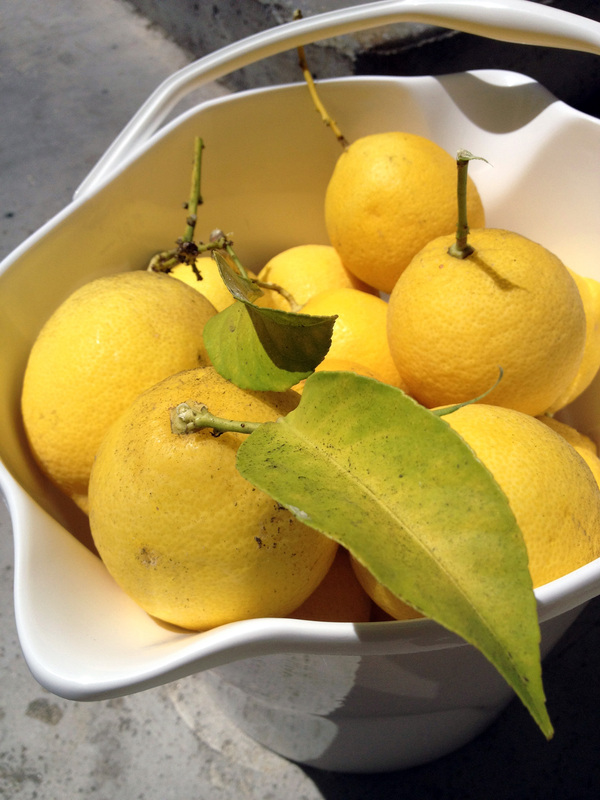 Brad and I often pick a lemon or two to use in whatever we’re cooking that day. I literally can’t tell you the last time we had to buy citrus. I love this perk of our/our neighbor’s apartment. 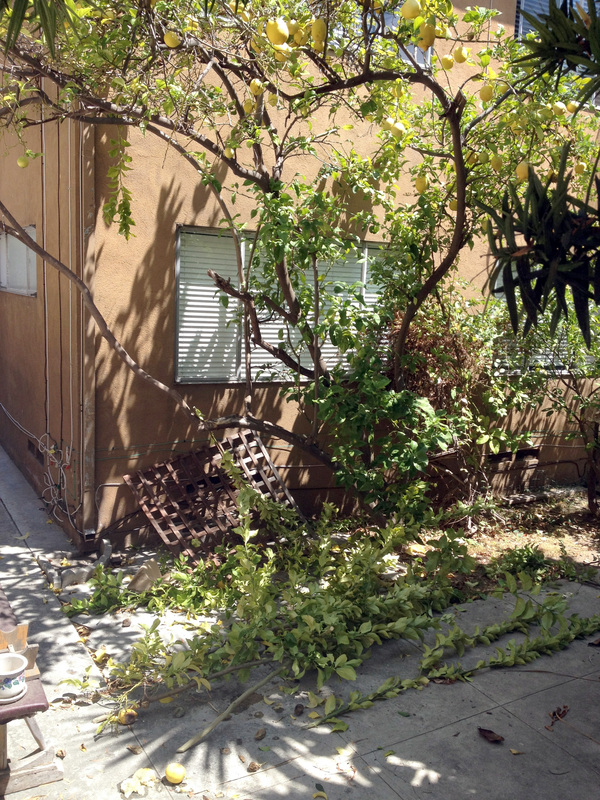 So Friday, as the construction on our building wore on and I attempted to angrily work through the hammering, sawing, and whatever else noise there was, I realized someone was trimming back the lemon tree. Way back. So many lemons! And all about to just be thrown away! I went out, equipped with a bucket, and asked the man if I could take the fallen lemons when he was done. And wouldn’t you know it, I was the proud new owner of a whole bucket of lemons. 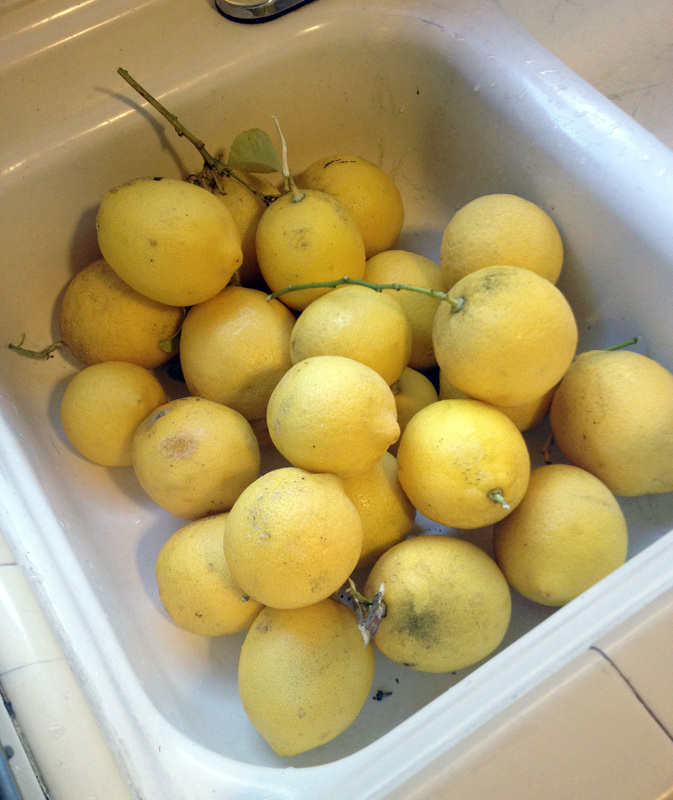 The good thing is, while the saying makes life handing you lemons seem like a bad thing, a whole sink full of lemons was just the thing I needed to kick start my new mood. Within an hour I had a list of lemon things I wanted to make. Lemon Martinis, Lemon Risotto, Lemon Tarts, Lemon Granita, Lemon Poundcake, Lemon Whatever. The saying implies that I should also make lemonade, but you know me, the alcoholic version is much more fun. 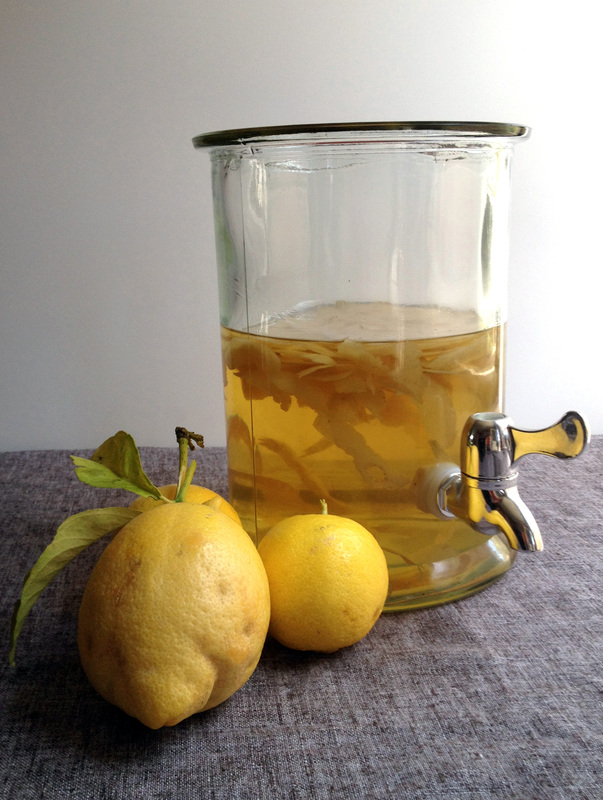 So I immediately finished my latest batch of limoncello that I had been steeping for the past four months. Not that this required any of my new lemons, but you see where my head was at. 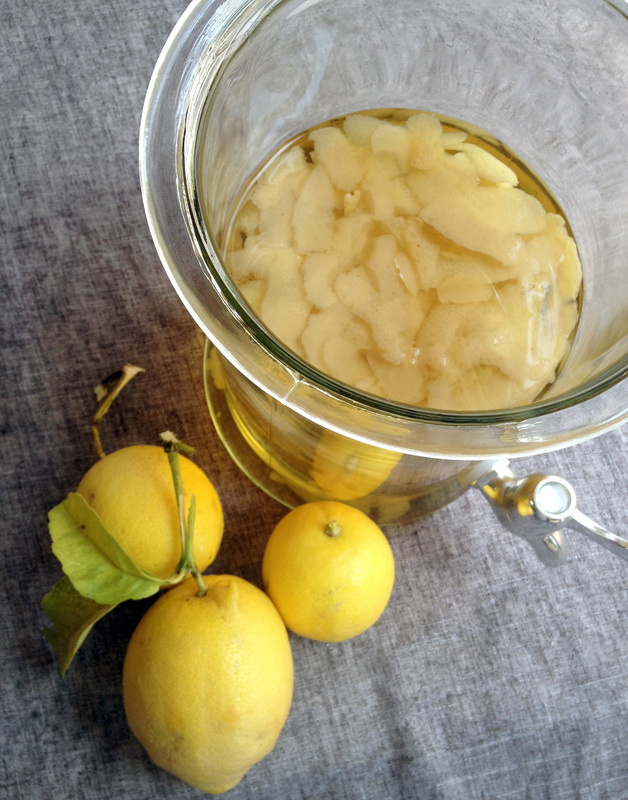 Lemons on the brain. So I have decided that this week will be completely dedicated to the lemons that life dealt me. And after I’m through with all of the citrus-ness, the saying may have changed a little.